With new horizons to pursue, the hit Disney musical Aladdin will launch a national tour in April 2017, beginning at Chicago's Cadillac Palace Theatre. Casting for the touring production, as well as future engagements, will be announced at a later date. Adapted from the 1992 Disney animated film, Aladdin is the story of a street urchin who uses the help of a magic Genie to win the heart of Princess Jasmine. Directed and choreographed by Casey Nicholaw, the production features a book by Chad Beguelin, music by Alan Menken and lyrics by Tim Rice, Beguelin and the late Howard Ashman. 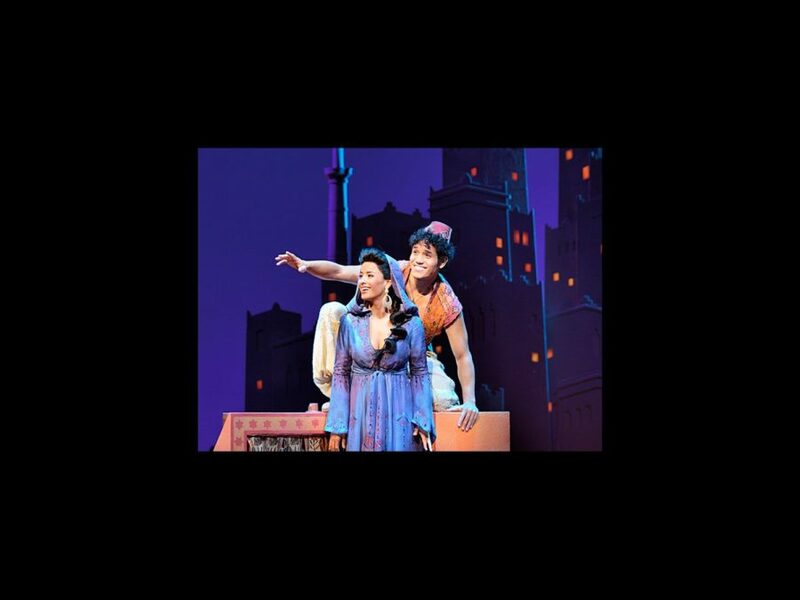 Aladdin is currently running on Broadway at the New Amsterdam Theatre. The production officially opened on March 20, 2014, starring Adam Jacobs as Aladdin, Courtney Reed as Jasmine, Tony winner James Monroe Iglehart as the Genie and Jonathan Freeman as Jafar.